Walking out on the beach before sunrise is a special feeling. It has an extra special feeling when it is a very low tide of -1.0 AND it’s Christmas weekend. We saw lots of live shells and washed up sea life like this poor LINED STARFISH that took a beating but wouldn’t give up despite losing all of its arms. It survived al of the elements and started growing each of its arms back. What a survivor! And you thought all SEA PORK was ugly, right? Well look again! This one looks just like an orange with its bright orange peel. We both tried to rub off those brown smudges…HA! Silly us, those brown spots are part of the shell! That would be like trying to rub off the spots off a JUNONIA or SCOTCH BONNET. Silly! Hmmmm…. whaddaya think? Look like coffee beans to you? Pam – The sunrise pictures are beautiful! Love the “new” shell that Clark found – it’s so cute! Actually, I love all of the pics!!! Thanks! Gorgeous photos! That golden color is divine! Pam, the photos are beautiful, great site, hope your holidays are wonderful. It looks like a granulated cowrie kind of. That sky is absolutely breathtaking!!!! Beautiful sky, beautiful shells!!!!! Beautiful sun….and another great find Clark!!! Absolutely stunning photos, so pretty. I can’t wait to get there a week from today!! Pam, Can you tell me how you know when to go shelling. I have two little ones and we have never been as lucky as you guys. Thank you for the beautiful pictures. What a beautiful way to start the day. I enjoy your blog very much! Have a great new year! From down under Oz. What fabulous pictures. That last one with the lighthouse and the yellow sky especially – you should have that one framed. First of all, I love your site and hope to meet you on Sanibel beach someday. I have lived in SW Florida for 3 years now and have really gotten into shelling the last year. I have so wanted to find a Junonia. I talked to a visitor this summer who found one and another visitor on 12/24/11 that found one last year during her vacation. I sooo wanted to find a Junonia and I did!!! I found it Christmas morning at the Lighthouse. What a beauty and what a Christmas gift. I can’t wait to find another. Kathy! Congratulations on your junonia!!! The lighthouse has been great the last few weeks it seems. Saaaweeet! Looks like you already have some beautiful pics for the 2013 calendar! Keep up the good work! I am so bummed I missed the December low’s. Life just got too busy. Looks like I get another shot the 2nd week of January so I’m hoping to get a few sunrises in. New Year’s blessings to you & Clark. 2012 is going to be your best year ever. Amazing pictures, as always, Pam! Beautiful photos, Pam! They’ve got me so excited for our upcoming trip! LOVE the little coffee bean shell… I sure hope I find one in 3 weeks when I’m there. :) Hoping to run into my favorite blogger too!!! :) Happy New Year! Beautiful photos. We were lucky to be out that morning also. Been looking for the new coffee bean ever since. Today I found my first ever baby’s ear but it is not white like the ones on your blogs – it has tannish brown on its swirls – almost like stripes. But it has the exact shape of a baby’s ear. It’s so exciting to find a new shell! Whoa – I just found it when searching further on your blogs – it’s a beautiful maculated brown baby’s ear. Now I’m even more excited. THANK YOU for this wonderful resource!!! I was about to write back and tell you that you found a really great shell! Yes! It’s a brown maculated baby’s ear! Nice find! It’s so much fun to find a new shell. We love the pictures you took of sunrise and the great shells and we so want to be there! We just ordered your calendar yesterday and have already been notified that it has been shipped. We cannot wait for it to get here. 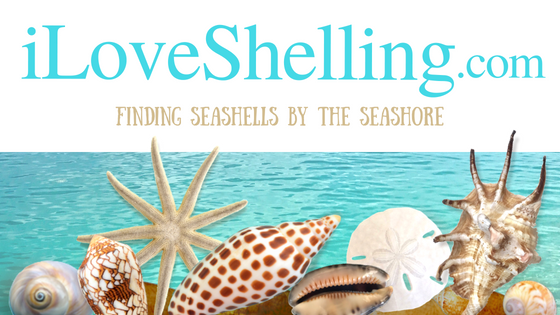 We love seashells, walking on the beach and iloveshelling.com. Thanks for keeping those of us who aren’t there all the time a place to go and drool. This is one of your coolest posts ever! The sunrise pictures, the regenerating starfish (amazing), the new shell… What a beautiful wrap-up for the year! Thank you for the joy you provide all year to land-locked, shelling-deprived sistahs! p.s. Your Elite Three Christmas video was a huge treat! Thanks again. We are putting it in our special display case for our Sanibel condo…Yay! We have found several coffee bean trivia on the beaches of Guantanamo Bay. Pam what gorgeous photos you took!!!! I notice you sometimes take pictures holding creatures I would be afraid to hold, thinking they may sting or be poisonous or something. Is there any chance you could do a post in the future with some of the critters we can/can’t touch?? I just tend to assume everything’s a potential jellyfish and stay far away haha…… but it’d be nice to not be freaked out if I see something floating by my feet in the shallow water for instance! Wow! I found a coffee bean trivia at Stump Pass State Park yesterday! Love your blog! I’m a new shell addict!!! Coffee Beans are my favorite shell to find! I am on the west Coast and they take some searching. Coffee Beans and Appleseed Erato are my shells. Coming to Sanibel/Captiva in Dec 2018 and cannot wait to look for Gulf Coffee Beans to add to my collection!